Dr Muriel Newman established the New Zealand Centre for Political Research as a public policy think tank in 2005 after nine years as a Member of Parliament. A former Chamber of Commerce President, her background is in business and education. There is an on-going debate in New Zealand as to why immigrants are required for low-skill work that unemployed New Zealanders could do. Some say our immigration policy is at fault. Others point the finger at our welfare system which seems to allow beneficiaries the choice of whether they work or not. Statistics show that in the last twelve months 6,500 migrant labourers were given work visas, despite there being 15,600 unemployed labourers in New Zealand. In addition, 2,700 work visas were issued to migrant sales workers, while 23,000 Kiwi sales workers are listed as being unemployed. The Government argues that the problem largely boils down to ‘job-matching’ – the unemployed do not live in areas where the jobs are, and in spite of some generous incentive schemes being put in place, it appears most choose to not move. Meanwhile employers claim business growth is being seriously constrained by a shortage of willing workers. They say the main reason that many businesses are not keen on hiring unemployed New Zealanders is because of their ‘attitude’ – they say that many simply do not want to work. A survey published late last year by the Ministry of Business, Innovation and Employment found that almost two-thirds of 1,500 employers from across the country had listed job vacancies over the previous 12 months. Of those, one in four had employed migrant workers. The most common reason they gave for hiring migrants was that they had the best qualifications and experience for the job. They also explained that they were attracted by their strong work ethic, since many had found that low-skilled New Zealanders were not really willing to do the work they needed. The Prime Minister has also waded into this debate, admitting last month that many unemployed New Zealanders have a poor work ethic. “We bring in people to pick fruit under the Recognised Seasonal Employer scheme, and they come from the islands, and they do a fabulous job. And the government has been saying ‘well, OK, there are some unemployed people who live in the Hawke’s Bay, and so why can’t we get them to pick fruit’, and we have been trialling a domestic RSE scheme. So what is causing this problem? Firstly, in response to growing public concerns that immigration levels are too high, the Government announced last week that it was going to adjust policy settings – despite the number of permanent resident approvals of 52,052 in 2016 being below the peak of 55,900 approvals in 1995. Changes have now been made to the Residence Programme, which covers three main categories: a ‘humanitarian’ category for refugees and the Pacific Island quota, a ‘family’ reunification category to allow New Zealand citizens and residents to bring in other family members, and a ‘skills’ category covering skilled workers, investors, entrepreneurs, and their families. The changes will lower the number of residency approvals from a maximum of up to 50,000 a year to 47,500 a year, the number of points required for residency under the skilled migrant category will be raised from 140 to 160 points, and the number of places for the family reunification will be reduced from 5,500 a year to 2,000, with a temporary halt put in place for all parent approvals. This last change follows revelations that while some new citizens and residents get approval for their parents to come to live New Zealand on a promise that they will provide for them, many fail to do so. That means that after 10 years, they are eligible for national super – fully supported by tax-payers. While these adjustments will go some way towards addressing current immigration concerns, the Government clearly does not want to severely cut skilled migration numbers. With New Zealand’s economy growing at 3.6 percent a year and with the dairy sector now showing solid signs of recovery, the demand for good workers is likely to increase. So while immigration is undoubtedly creating competition for unemployed job seekers, increasing reports of beneficiaries having a poor work ethic points to growing problems within the welfare system itself. Essentially, many of those receiving welfare believe they will not be better off in work. Not only will they lose their free time, but they may end up with less money – especially if they happen to be doing cash jobs on the side. In other words, the fact that the income of many beneficiary families is much higher than their benefit income alone, shows that a significant number are deriving undisclosed income – which no doubt creates a strong disincentive to employment. While beneficiaries are permitted to earn additional income without it affecting their benefit, the value is quite modest – $80 for the unemployed and $100 for sole parents. But when added to the basic unemployment benefit of $234 a week ($195 for young people) and $372 for single parents, the differential between the benefit and the adult minimum wage of $610 a week, ($488 for a young person starting out) is not that great – especially when supplementary benefit payments, including allowances for children, are added in. In fact, in 2012, the Herald ran a story about how some large families were receiving over $2,000 a week in benefits, which, since wages do not rise according to the number of children in a family, clearly makes it financially impossible for such families to leave the welfare system – unless they are forced to do so. And that’s the nub of the problem. New Zealand’s welfare system is unlimited. While there are expectations that someone on welfare will look for work and take on a job they are capable of doing, there is no real imperative to do so. While there are a range of measures in place to encourage such outcomes, in reality, in New Zealand, if a beneficiary really wants to avoid work, they can. Other countries are not so generous. In a recent Breaking Views blog, Cato Institute economist Daniel Mitchell outlines what happened when Germany reformed welfare a decade ago, by ‘significantly’ reducing benefits for the long-term unemployed and tightening up on job search obligations. The changes were a huge success – unemployment declined from almost 11 percent in 2005 to 5 percent by 2014, the lowest level since reunification. In contrast, other advanced economies experienced a persistent increase in unemployment. The strong labour market helped Germany consolidate its public finances, as lower outlays on unemployment benefits resulted in lower spending, while stronger taxes and social security contributions pushed up revenues. As he says, while politicians undoubtedly have noble motives when they put in place legislation to protect people from the consequences of unemployment, there is nothing noble about laws and regulations that either discourage employers from hiring people or discourage people from finding jobs. “Two decades ago, on August 22, 1996, President Bill Clinton signed the Personal Responsibility and Work Opportunity Act, popularly known as welfare reform, into law. At the time, liberals proclaimed that the bill would slash the incomes of one in five families with children and push 2.6 million people into poverty. Robert goes on to explain how opponents of welfare reform have now revived those doomsday predictions in the US, claiming that millions of children are now living in extreme poverty. But as he says, their claims use radically defective data and do not stack up. The US welfare reforms were based on programmes developed by the former Governor of the US State of Wisconsin, Tommy Thompson. In his article Welfare Reform, the Governor explained that by giving out money without expectations, and by failing to send an unequivocal message about the centrality of work, the old welfare system created a cycle of dependency that left many families mired in poverty and abuse, unable to take control of their own lives. As a result, it was replaced with a programme based on the expectation of work and personal responsibility: “We invested in childcare, transportation, and job skills training to make it not only easier for mothers to go to work, but to keep that employment. The message we sent was clear: ‘Government is not here to take over your lives, it is here to help you so that you take over your own life and become whatever you want to become’. The Governor explained that while opponents claimed it would be a disaster, welfare caseloads in Wisconsin dropped from 96,000 to 4,000. Some counties had no welfare cases and all. 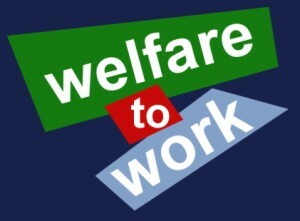 The key to the success of the programme was two-fold – firstly, it put work and self-sufficiency at the core of public assistance, and secondly, it introduced time limits for assistance – two years of continuous receipt and five years in total – to send a message that welfare is only temporary and that becoming self-sufficient through work is a requirement. In practical terms, the programme recognised that many beneficiaries found it difficult to transition into the working world. Some would take on jobs but end up leaving because of unrealistic expectations. Or problems would arise – substance abuse, physical limitations, unhealthy relationships, would all take their toll. This led to the concept of full-time support: to help beneficiaries organise their lives so they could succeed in a job, they were required to turn up each working day at a job centre. Assistance was provided for child care, transport, and even re-location, if they lived in an area with no jobs. Once at the job centre, they engaged in a full-time programme of job search and other activities designed to give them the skills and habits of the workplace. That meant the step up to a real job was no longer insurmountable. With additional support such as drug and alcohol counselling, even those who had been entrenched in dependency for years, were able to successfully move into employment. The remarkable success of the programme hinged around requiring the unemployed to turn up each day at the job centre. When the alternatives were full-time work or full time attendance at a job centre, then work was seen as the best option. This is particularly relevant when considering the reported bad attitude of some Kiwi beneficiaries. If indeed they would prefer to stay on income support rather than take a job, then this indicates that the system itself is fundamentally failing to transition them from welfare to work. And that’s National’s challenge. They need to change their welfare system to ensure that all able-bodied beneficiaries are motivated to finding work, independence and a better future. Do you think the welfare system does enough to encourage able bodied beneficiaries into work? *Poll comments are posted below. *All NZCPR poll results can be seen in the Archive. The welfare system is not solely to blame. Personal responsibility has been quietly nudged out of the way, as governments have slowly but surely made us more dependent on them. With no personal responsibility taught, we now have four generations or more in some families, that have never had a job in their lives, & why should they when they are paid to breed. The other problem is that margins are too slim in much of the productive sector, to pay employees an above benefit wage. Training in industries that need labour should be available, with those who refuse to attend, not eligible for unemployment benefit.. A.G.R.